Even though we only got a small glimpse of fall feeling weather it still made me want to rush home and make a giant pot of The World’s Best Homemade Chicken Noodle Soup. This recipe is one that I got from on of my closest friends which she got passed down to her from her grandmother. 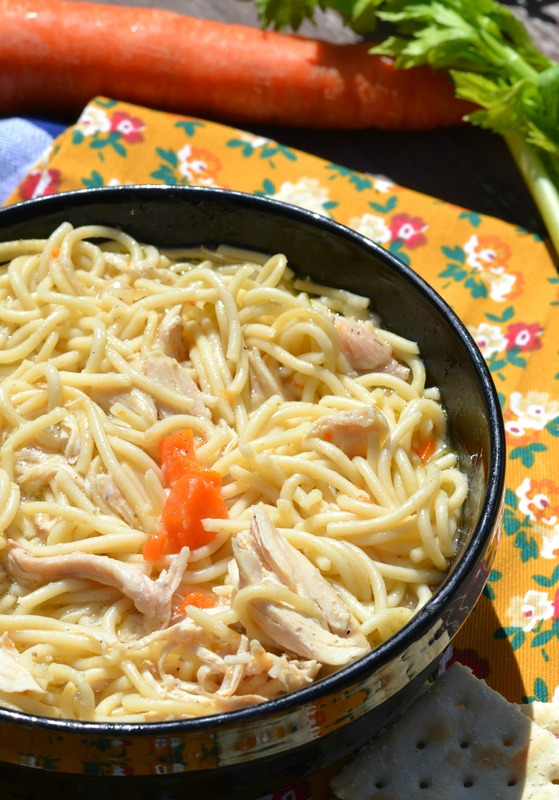 You guys, I have seriously never had a chicken noodle soup that is as perfect as this one. 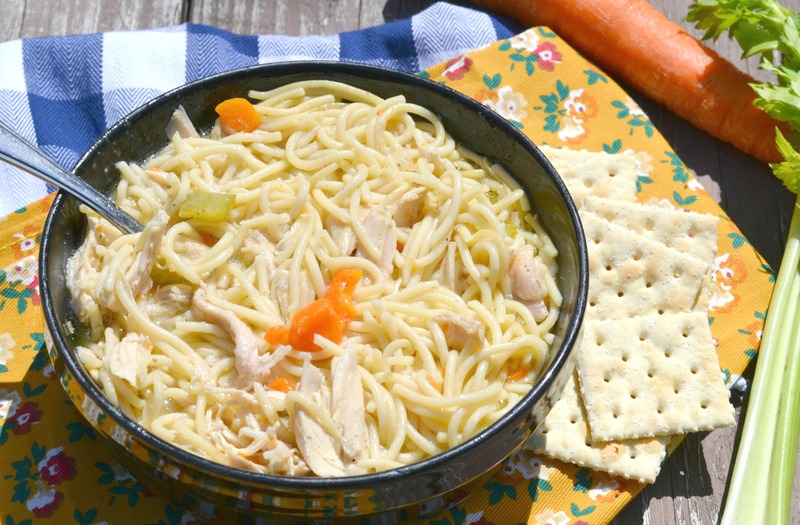 It’s packed with all things that make a chicken noodle soup delicious, love, comfort and a whole lotta goodness! Fill large stock pot about 3/4 full-half water and half box of chicken broth (or full water and 4 T chicken granules). Add onion, garlic, parsley and generous amounts of salt and pepper. Add chicken, bring to a boil, cook for 45min to an hour. Add carrots and celery the last 15 min of cook time. Remove chicken from pot, turn off heat and allow chicken to cool enough to handle (at this time I strain out large onion pieces). Once cooled, peel chicken off bone, shred and add back to stock pot. Bring broth back to a boil and add noodles, cook noodles according to directions (10-11 mins). Adjust salt and pepper to taste, always better the next day! Friends, this soup is one you do not want to miss trying. It is perfect for up coming cold nights! If you like this recipe you should also try this Creamy Chili Relleno Chicken Soup or the World’s Best Italian Wedding Soup! One question, do you add the noodles without skimming the fat off the stock first?….or just go for it? Can’t wait to try this one!